Relevance The CD3 complex, composed of five CD3 polypeptide chains, associates with the T cell antigen receptor (TCR) and is found on all mature human T lymphocytes. CD3 can be used for the identification of normal and malignant T lymphocytes in paraffin embedded or frozen tissue sections. 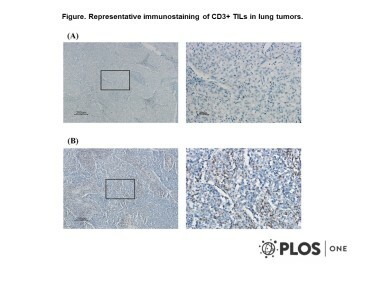 PC3/188A also detects CD3 in mammalian tissues. Doursout et al. 2013. J Interferon Cytokine Res. 33(7):376-83. PMID: 23600861. Inflammatory cells and cytokines in the olfactory bulb of a rat model of neuroinflammation; insights into neurodegeneration? Wang et al. 2012. PLoS One. 7(7):e39525. PMID: 22848356. Interleukin-10 haplotype may predict survival and relapse in resected non-small cell lung cancer. Bianchi et al. 2012. Diabetes Metab Res Rev. 28(2):156-63. PMID: 21922635. Oligodeoxynucleotide IMT504: lack of effect on immune parameters during islet regeneration in single dose streptozotocin-induced diabetes. Jones et al. 1993. J Immunol. 150(12):5429-35. PMID: 8515069. Detection of T and B cells in many animal species using cross-reactive anti-peptide antibodies.